It’s always fun to try new things at Walt Disney World. 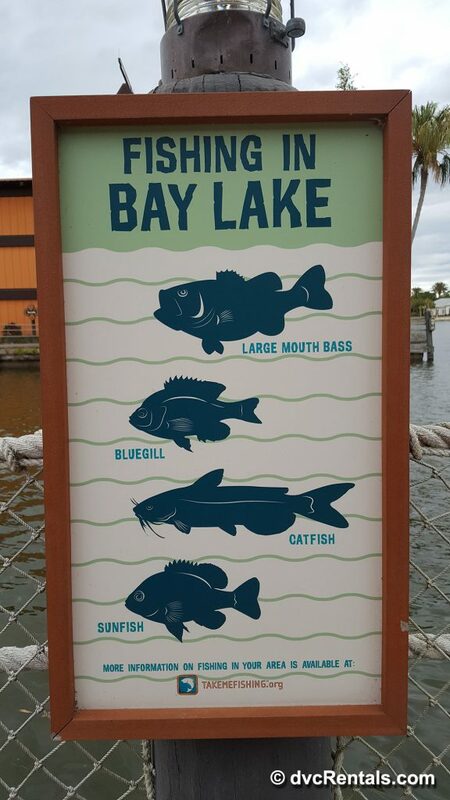 Recently a friend and I experienced a guided fishing excursion at the Magic Kingdom area in the Seven Seas Lagoon and Bay Lake. I had never fished before; my friend had a little more experience. 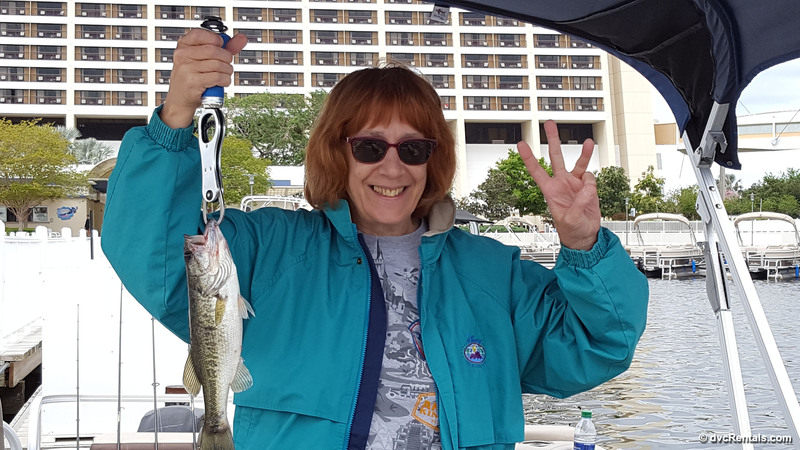 But it doesn’t matter if you’re an expert angler or a newbie like me—since it’s a guided tour, the boat captain will show you exactly what to do, and help you if you need assistance at any time during the trip. 7AM or 10AM start: $270 for a 2 hour excursion, $455 for 4 hours. 1:30 PM $235 for a two hour excursion. This excursion time is also available for single guests at a cost of $170. There are no fishing excursions at night. 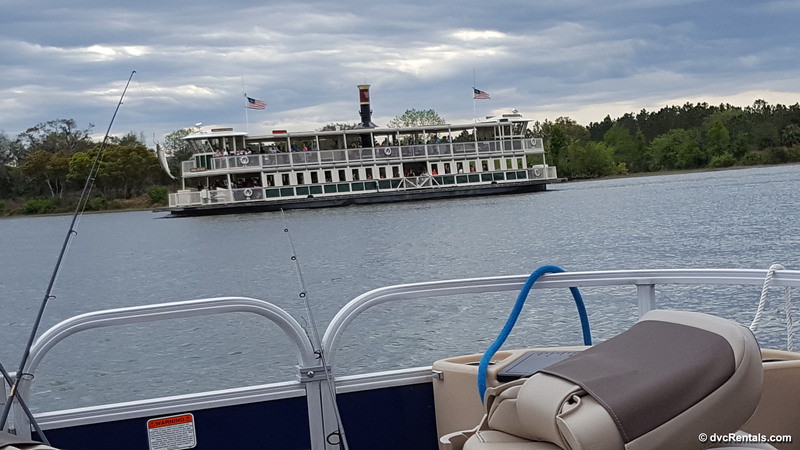 When you make your reservation, they will inform you NOT to bring any food or alcohol on the boat (water is fine). There are storage areas on the boat, so if you have a backpack, purse, etc., you don’t have to rent a locker or leave your things elsewhere. 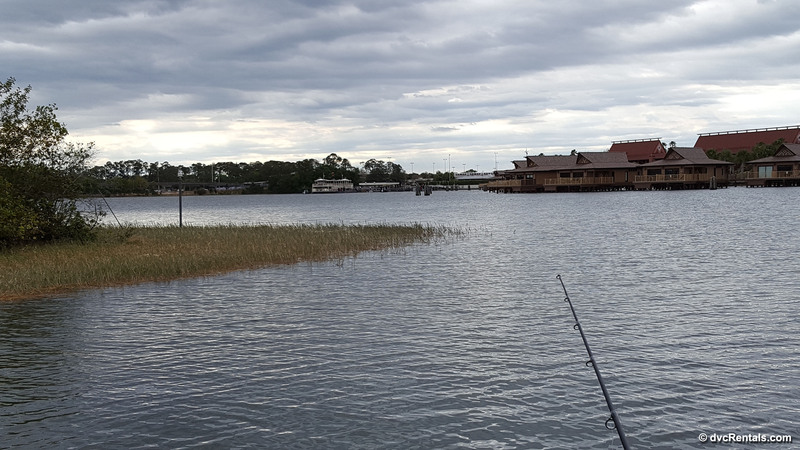 There are many places that the fishing boat will pick you up in the Magic Kingdom area: Contemporary Resort, Polynesian Village Resort, Wilderness Lodge, Ft Wilderness or the Grand Floridian Resort and Spa. As an FYI there are fishing excursions at Walt Disney World at other locations, but this blog is only going to discuss the Magic Kingdom tour. We opted to get picked up at the Polynesian, but there really is no advantage to one resort over the other, it’s personal preference. 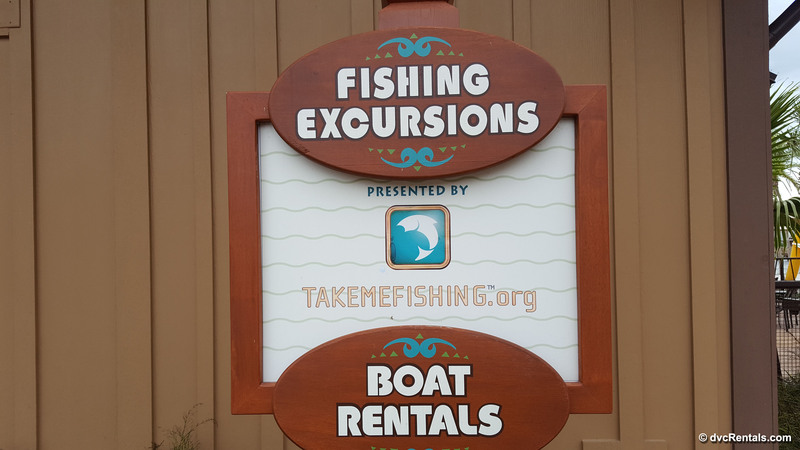 The guided tour will take you all around Seven Seas Lagoon and Bay Lake, searching for the best areas to catch fish, so it doesn’t matter at all where you start off. 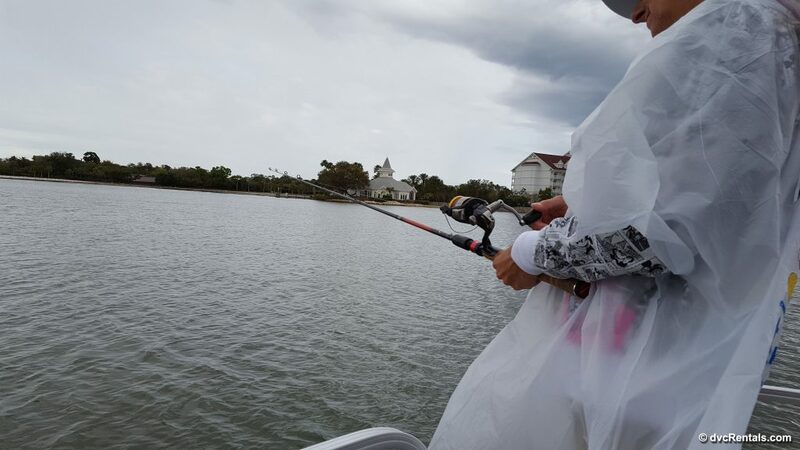 If you are arriving by car, when you arrive at the guard booth at the resort you have chosen tell them you are there for the bass fishing and they will allow you to park at that resort. 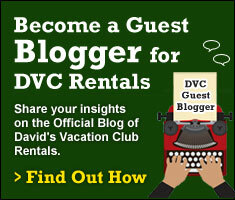 Bring your reservation number with you in case the guard asks you for it. Since we met up at the Polynesian Resort, we started our fishing in a quiet cove there. Sean showed us how to hold the rod, and how we would know if we caught something (the fishing line will start to unwind from the reel). He then handed us baited poles, and it was time to fish! 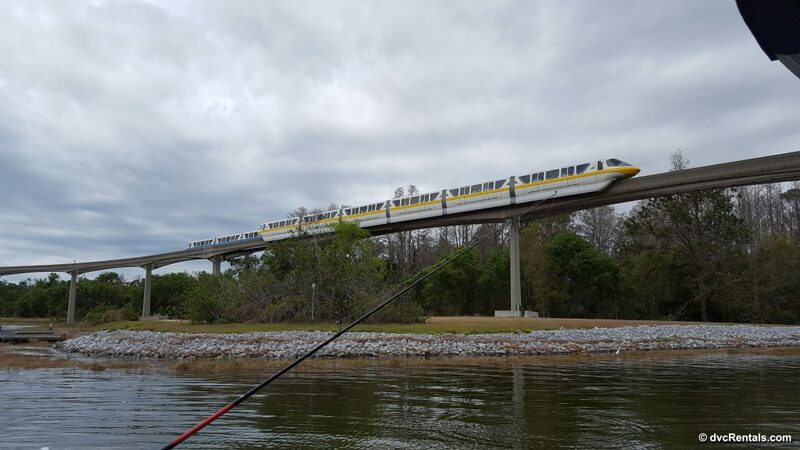 Although we had great views of the monorail, and saw a number of water birds, the fish were not biting at all at this location. Although the Bay and the Lake are well stocked with bass, one never knows exactly where they will be at any one time. Since we had absolutely no luck at the Polynesian, after about 15 minutes, we moved over to a cove at the Grand Floridian. The boat moved really fast, like a huge sea raycer (The small power boats Disney rents guests), it was fun speeding across the water. Unfortunately, we had no better luck here, so after trying for another 15 minutes or so we boated over to a cove at the Contemporary. Finally success! I was the first one to get lucky. Suddenly my reel started to unravel, and it was clear something was on the line. I got all excited and Sean came over to help me land the fish. As I drew it closer to the boat by reeling it in, Sean put a net in the water to get the fish. My first fish, wow, so exciting!! Sean put the fish on a special tool we could hold to show off our catch. After taking some quick pics, it was time to put the fish back in the water (all excursions are catch and release, you cannot keep any fish). Sean held the fish in the water and at first it didn’t move. Then after a few seconds it took off like a banshee! I asked Sean why it hesitated. His answer was that the fish thinks its life has ended once it has been caught! It takes a short time for the fish to realize it’s back in the water and safe to swim away. This spot was obviously very good, as we went on to catch 7 fish in total, I caught 4 and my friend caught 3. It was really cool each time I hooked one, but in all honesty, the best part for me was putting it back and watching it swim away (after Sean let the first one go I asked if I could let the others go, he was happy to comply). When we first started and caught nothing, I was feeling a little bummed, but by the end of the trip I felt very happy and satisfied. I have to say that Sean did his best to find a good spot and he definitely succeeded. He also was happy to answer any questions we had, and was there to help my friend when she got accidentally got her line tangled. He tried to refuse our tip at the end of the trip, but we insisted, he was such a huge help. No matter where you start out at the end of the trip you boat over to Ft Wilderness to pay for the excursion. 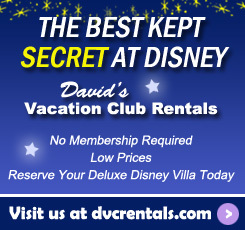 This is where you will show your DVC card or Annual Pass to get the discount. Once the money was paid Sean piloted us back to the Polynesian. We said our goodbyes, and it was over. The two hours went quickly. We were lucky, the weather was not too hot or cold. 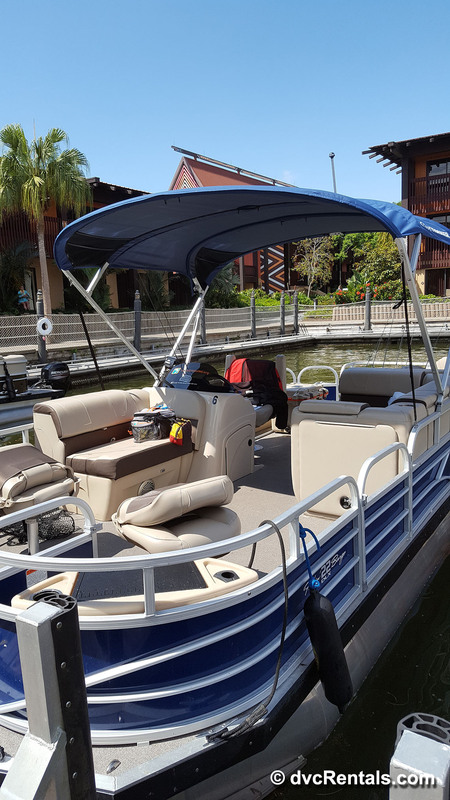 I can see this being something you might want to avoid at very hot times, as although the boat is partially covered (when you are moving from resort to resort you are seated under the covered portion), but when you are fishing you are standing right out in the sun. Definitely, bring sunblock and a hat or visor. Oh, and as an FYI although I can sometimes get seasick the boat is not moving for the majority of the trip, so I never felt the least bit queasy. I must confess it was my friend who really wanted to do this, and although I was happy to accompany her, I didn’t expect to have as much fun as I did. It was great! Those of you who fish know the thrill of catching one, and if you’ve never fished before (like me) I think it makes it extra thrilling when you are successful at hooking one. I would definitely do this again, maybe next time I can talk 4 friends into going, and we’ll have a full boatload of fun!